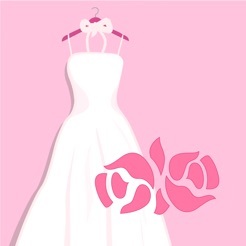 Find your perfect wedding dress in Canada! 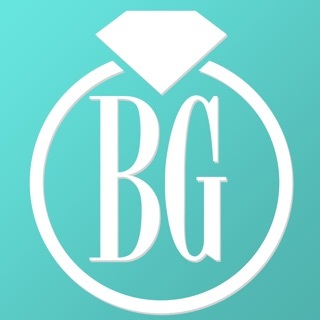 The only app created specifically for Canadian brides, with complete Canadian market information. 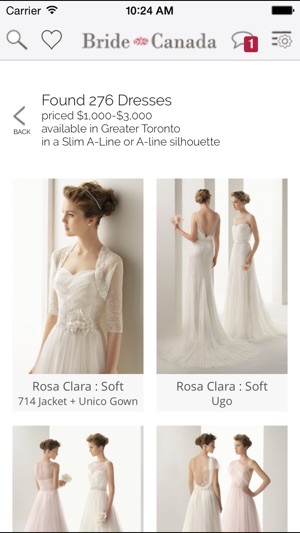 Updated weekly by the fashion experts at Bride.Canada, this searchable catalogue contains just about every single bridal gown available in Canada - and the stores that carry them! 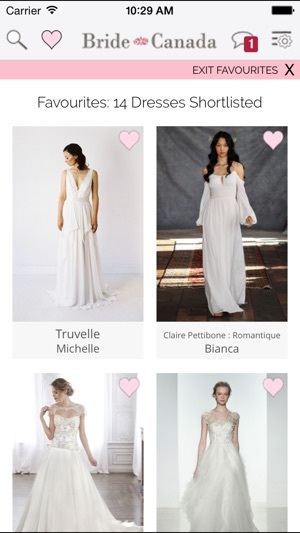 The Dress Finder will let you know not only the nearest boutique that carries your favourite wedding dress, but also which boutique has it in-stock right now! Just make an appointment to try it on! It will also notify you when one of your favourites goes on sale, anywhere near you! 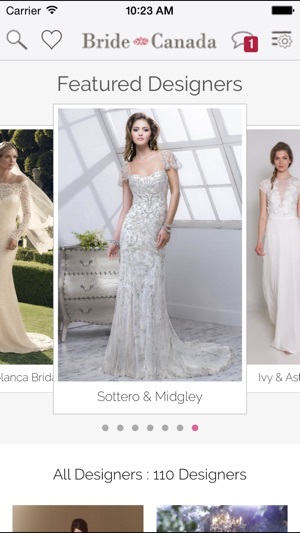 One-touch shortlist of your favourite wedding dresses. Bring your iPhone/iPad to your boutique appointment and show them exactly what you’re looking for in your dream dress. 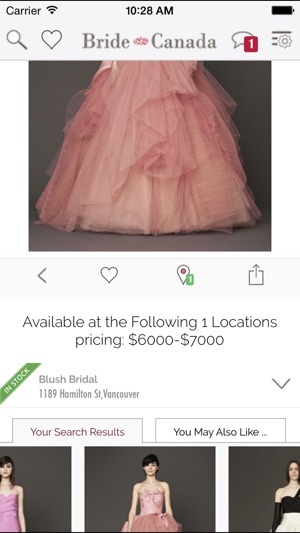 Live in-app notifications keep you updated on your local community fashion events: Trunk Shows, Bridal Fashion Shows, Sample Sales, New Arrivals. For a free version, just use our website at https://www.dressfinder.ca - your user account and favourites will work on both. 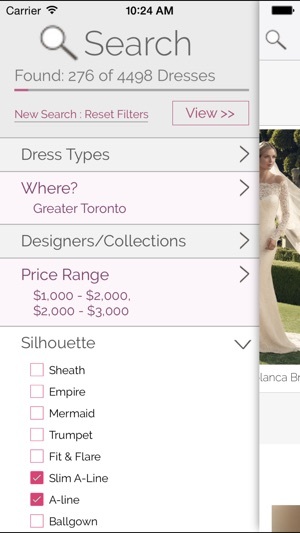 Change registration data to cover all Bridal Shops in Canada.